Home Useful InformationArticles and NewsTourism above the sea level! Tourism above the sea level! 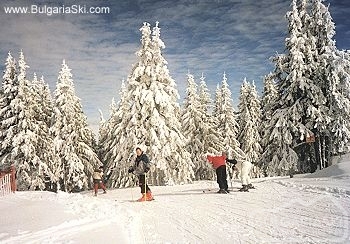 Bulgaria is now “cheap ski vacation in the Far east of new Europe” for the European tourists. The winter tourism that has just 15% of the revenue of the country in this section is now preparing to increase. After the success of Bansko, which had over 40 million Euros, the country offers another project - “Super Borovets” that will cost nearly 300 million euro. 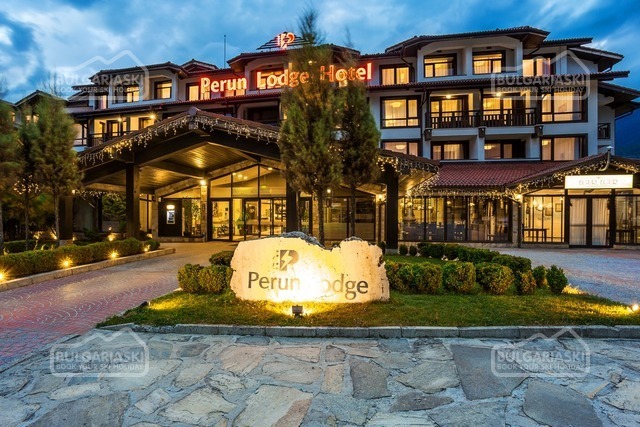 In certain business circles became clear that the winter tourism can bring almost the same revenues as the summer tourism and the ski can turn into a way of living in Bulgaria. “A million and one resort wishes” appeared in the municipals. The property market enlivened. All this activated the ecologists, whose opinion is that it is not worth to build such an imposing infrastructure for not more than three months active season. The Bulgarian Tourism Union holds the rights over the mountain Chalets and has no intentions to privatize them. No wonder that most of them are abandoned and no one uses them. The ski tourism in Bulgaria is preparing for a jump. The winter resorts, which traditionally were of less importance for the economy, quite dropped behind compared to the summer resorts, after the flourishing of the sea tourism. The ski tourism provides just 15% of the total tourism revenue from tourism. This percent is almost equal to the out of season one and in the inner parts of the country (15-20%). In comparison – the summer tourism is obviously dominating with its 65-70%. “The development of the mountain tourism is inevitable, because at the moment Bulgaria offers just around 15 000 good quality beds. In comparison, the mountain beds in France are over 1.2 million. “- commented the vice minister of culture and tourism Dimitar Hadjinikolov. This will happen not only because of the Borovets project, but also for projects as “Siutka” over Velingrad or over Sapareva Banja”, he added. It became clear that there is still no concept for the development of the ski tourism in Bulgaria. 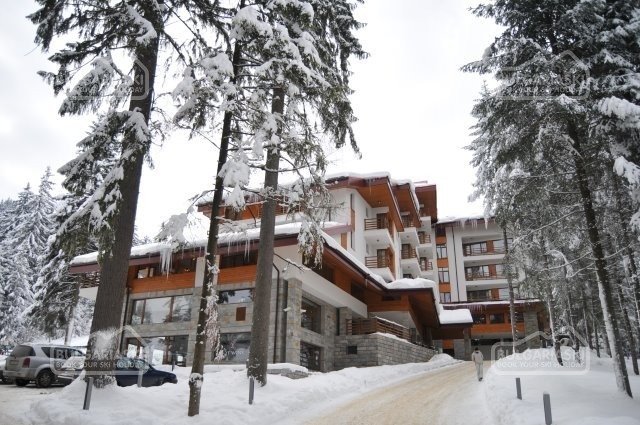 At the same time Bansko’s success, gave birth to many ideas for winter tourism in the country. Of course, we should not forget that Bansko received 40 million euro investments for its ski center for the last two years. Bansko’s development was actually due to the first serious investments in the winter tourism for the resent decades. For example, Borovets and Pamporovo have been built by the end of the 60s and the beginning of the 70s last century, covering the old standards of that time. The response of the new ski investments was the idea Borovets to be made three times bigger that it is now with investments for nearly 300 million euro. The development of Pamporovo was also considered as a possibility. A ski resort for 30- 40 million euro is now considered to be a standard project, judging by plans of Berkovica, Razlog, Teteven and Chepelare municipals. The unusual part of the mountain tourism is that it is high above the sea level. This means that huge investments in infrastructure are needed for its development. What is more, compared to the investments in sea hotels, which can reinstate for two-, three years, the return of the capital in the mountain areas can be done after 12-13 years. Before the beginning of the major project in Bansko, the lifts and ski pistes were built by the government. This means that not just one private investor, but a whole consortium is needed for the future projects. The ski tourism is for the huge investors. For example Bansko’s project is connected to the support of First Investment Bank. The sport infrastructure of Borovets now is taken by “MG Corporation”. The infrastructure association “Pamporovo” joint stock company is connected to EISBank. By the end of the 90s when the infrastructure of the ski resorts was in a process of privatization the question was “how to eliminate the others, who have interest in it.” Now the question is “how to attract them.” The arguments are about the percent of shares that the investors will possess in the company for the construction of infrastructure. The municipal is obliged to take part in the so-called companies, and for larger investments, a state support will be sought. In other words, the development of ski resorts requires public and private partnership with all the difficulties that might occur- from the luck of experience to the risk of predominance of interests. The building of ski resorts is a mutual inspiration of the mountain municipals, the investors and the local population, who foresee a way out of their economic backwardness, new territories for development and savior from unemployment. It is possible that few big ski-equipment produces in the world support that initiative. (Some municipals know the trademark of the future ski drugs even before the projects are ready.) In that case, the different interests are mutually carrying each other forward. When the enthusiasm led to a particular investment in the infrastructure - for example for the construction of a cabin-lift in Bansko, it becomes attractive for a larger group of people. Property investors come up on the horizon, foreigners looking for rural properties, construction undertakers, looking for rapid profits from vacation apartments. The property market in the region enlivens and the local people can receive higher price for their property. At the same time, the things are going out of control and the area gets industrialized. The high risk from the winter resorts is that precious natural resources are sacrificed for their prosperity- trees are being cut. This does not look worthy if the resort is not filled through the whole year. The global hating makes the three months winter season on the level of out mountains doubtful. The investors are also aware of that fact and that is why they prefer the highest parts of the mountains. In that way they are tempted to enter the five per cent protected territories in Bulgaria. That is why the parliament received a governmental bill for a change in the law for the protected areas in Bulgaria. It makes it easier to transform the ownership from public- national or municipal in a private one, when there are current plans for management and detailed system plans. The Eco organizations reacted loudly at the attempt for construction works in the protected territories. Many people see the result of the argument between the ecologists and investors in either pro or con for the development of the plans. However there are still people like Dimitar Hadginikolov who say:” In this process the eco organizations are corrective and partners and the mutual dialog can create a base for development of steady types of tourism.” At that moment, the ecologists are mainly corrective. The problem is that at that moment no one suggests more attractive alternative than the ski development to the municipals. The green tourism is nature friendly but the profits are not so big and are spread in time. It is also not of such interest for the investors. It is clear that the development of the ski tourism cannot be altered. The main idea is to be kept in the proper areas, and not to let it damage the resources for the development of eco- tourism. The overbuilding of the summer resorts is now considered a problem with price effects. Catalogues of famous foreign tour operators advertise some sea hotels with less star categorization then the official, just because they are situated on an extra-urbanized area.